The island of Dhidhoofinolhu in South Ari was one of the first to open as a resort. It has come a long way from the basic fun of Ari Beach through the smart, informal White Sands to the 5 star Diva and now superstar LUX*. Great creative energy has delivered something new and special again to the Maldives. Like a number of successful new resorts, the intention is to attract families as well as honeymooners. 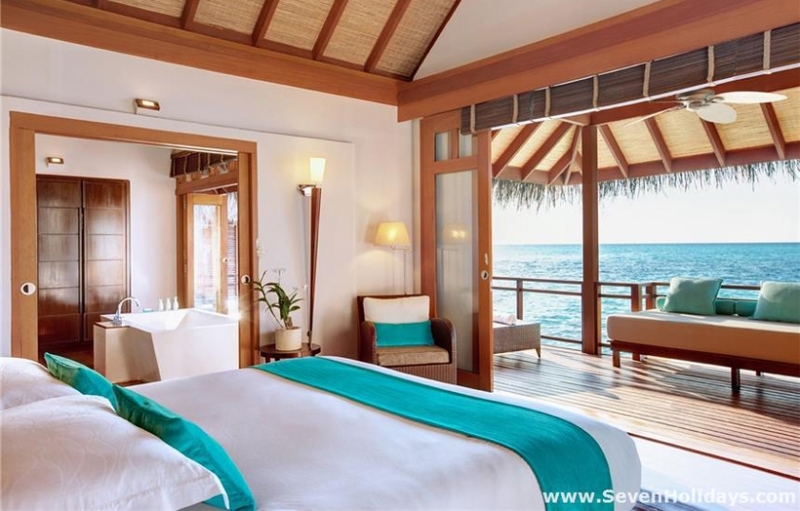 The advantage here is that almost half the rooms are water villas - the preference of honeymooners. 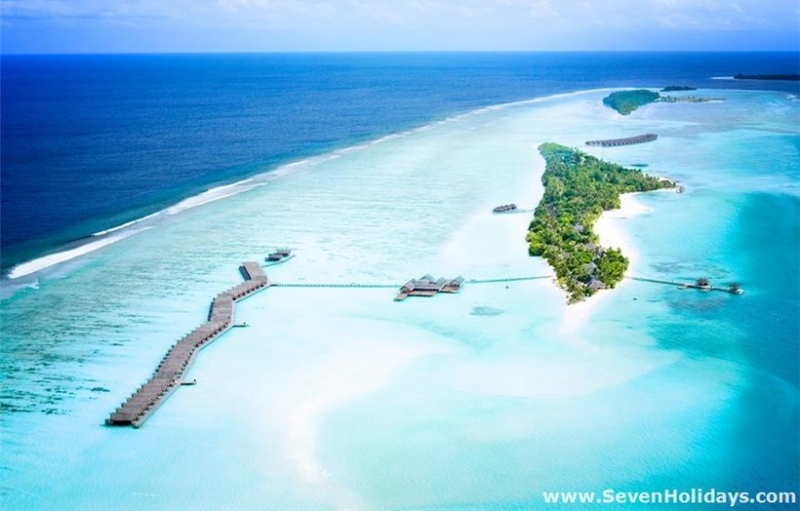 Having said that, LUX* Maldives have been clever enough to build 3 Family Water Villas too. There are 2 jetties of water villas. Off the southern end of the island are the Prestige Water Villas, which are larger than the other water villas and even quieter (being fewer in number and further from the centre) but only half of them get the afternoon sun, whilst half face the sunrise. At the tip lies the LUX* Villa with a deck facing the sun all day long. The original water villas are in a single line all facing out to the sunset. The family water villas are along this jetty. All the water villas have steps down to the lagoon, which can be surprisingly shallow at low tide but is generally very good for swimming and OK for snorkeling. 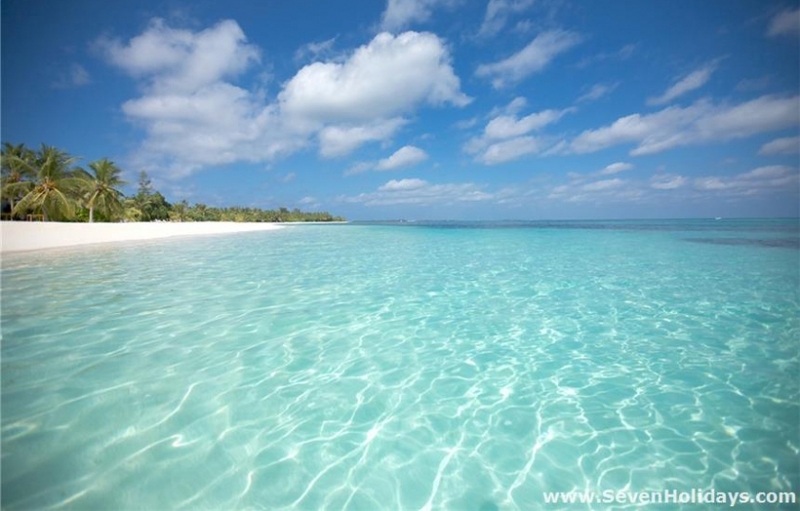 You cannot, however, swim out over the reef for snorkeling, as it faces outside the atoll and frequent strong waves. A little more economical for families, and far more numerous, are the Beach Pavilions. These are A-frame rooms divided down the middle, with a double bed in one room and twin beds in the other. Going up the price scale are the Junior Suites, Beach Villas and Beach Pool Villas. There doesn’t seem to be any location advantage to the room types, so you may strike lucky with lush green privacy and a good beach in front of you, or you may be making a request for a room in another spot. The beach is good for almost all the rooms almost all the time but as with most long, thin islands it is naturally rather narrow with large bulbs of beautiful beach at each end. Talking about long, thin islands, there are plenty of “free to use” bikes on the island to get you around (a few even have a baby seat on the back). You can rent bikes for the duration of your holiday , which might be a good idea for some given the length of the island (almost 2 kilometres). Golf buggies also go up and down, but at peak times there can be a bit of a wait. At one end of the island is the watersports centre that continues to be one of the best and best equipped in the country. It is very friendly and very professional. The highlight of their offerings is their special jet ski safari. Next door to this is the Dive Centre, which is also a top centre. 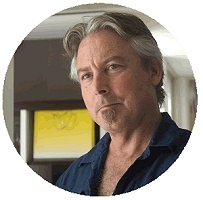 They are a serious and knowledgeable group of divers, particularly about the whale sharks that are resident in the neighbourhood. 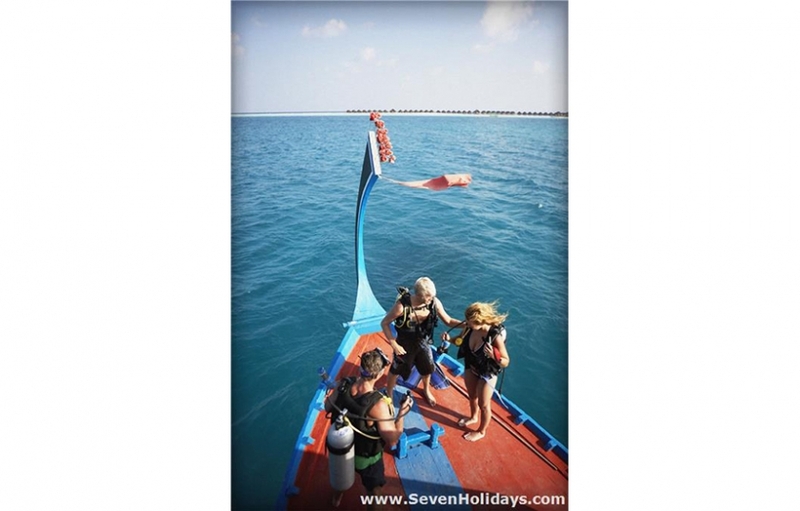 Whether advanced or beginner, the diver here can expect individual attention and great diving . For more action, you have two floodlit tennis courts and a well-equipped gym. And if that wasn’t enough, they have a unique jungle work out garden with Tarzan like ropes hanging from high tropical trees in a shady clearing inside the island. I’m told the workout there can be very intense. As mentioned, children are very well catered for. The 3-12 year olds can attend the kids club “Play”, with its tv lounge and game consoles, library, and play areas. LUX* staff are primed to give the children lots of fun and activities throughout the day, and babysitting at night. Teenagers have their own space, called Studio 17, which boasts a Wii set up, PlayStation, table football, table tennis and free WiFi. Service in 5 star resorts is expected to be excellent but it is worth mentioning again here as I found all the staff to be particularly helpful, smiling and happy doing their job. The attitude towards the guests is simple: everything is possible, the first answer to all your questions is “Yes!” and then they will give it a try. That goes from the hostess at LUX* Maldives’s airport lounge, to the orchid gardener, the long-serving Maldivian ‘go-to’ man, the public relations staff and on up to the general manager. We all know this makes a huge difference to the enjoyment of a holiday. Next to the reception is a red telephone box where you can make free landline calls to your loved ones, though you are asked not to phone an office, which is reasonable. Whether the idea of a water villa honeymoon is attractive to you (with or without a tailored wedding ceremony) or the thought of an active beach holiday is what gets you going, everyone loves fine food and great bars. 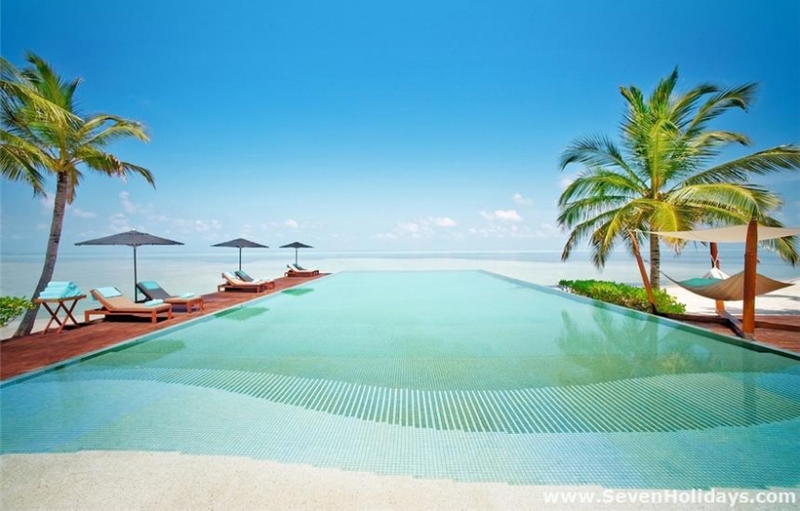 On LUX* Maldives there are 7 restaurants and 6 bars. One is the main restaurant serving buffets and the others range in cuisine across the continents, from lobster on the beach to Italian, Middle Eastern, Southeast Asian and Japanese (the specialist restaurant). During the day there is a secret bar somewhere on the island (the location changes) where people can mix their own drinks when they are lucky enough to find it. A permanent fixture are juice and fresh coconut bars all along the beach, so guests can look after themselves for hydration and little refreshments, which a great idea. 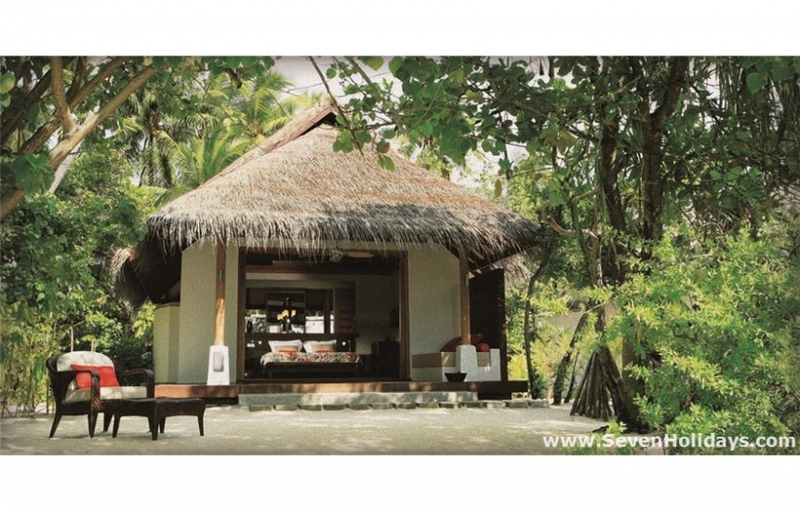 Regarding liquids there is one more very special thing on LUX* Maldives: the only coffee roasting machine on a resort. An enticing smell of roasting beans hovers over the whole island. The machine is from Germany, the beans from Venezuela, Brazil and South Africa and the baristas are more than happy to teach their techniques to the guests, including how to turn the milk foam on top of a cappuccino into a lion head or flower arrangement. In the middle of the island is a very well looked-after herbal garden where guests can have their meals in the shadow of palm trees and take on special menus such as the detox program. Having mentioned that, it’s time to mention the Veli Bar - an open bar with cool music around the lazy pool. Then there’s the Island Bar for your sundowner - champagnes a specialty here. On from here to the nightclub, and finally back to the Island Bar to wind down in the early hours.